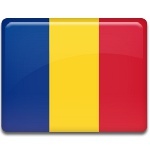 Constitution Day in Romania is celebrated on December 8. Although it is not a public holiday, it is an official observance marked with speeches, educational activities and other appropriate events. Constitution Day commemorates the approval of the Constitution of Romania in 1991. The current Constitution of Romania was adopted after the fall of the Communist regime. Romania became a Communist state in 1947, when King Michael I was forced to abdicate. The constitution of the Communist Romania was adopted in 1948; it was based on the supreme law of the Soviet Union. The Communist regime in Romania fell in December 1989. Large portions of the Communist constitution were suspended, and the development of the new constitution began. The draft was composed by a special committee that comprised constitutional law specialists and parliamentarians. Romania's new Parliament approved the Constitution on November 21, 1991. The document was published the same day. However, the Constitution of Romania went into full effect only after being approved by Romanian citizens. A constitutional referendum was held on December 8, 1991. Almost 80% of voters approved the new constitution. The anniversary of the referendum is celebrated as Constitution Day.